Commanding the highest price per square foot in Charlottesville, the North Downtown neighborhood spans from McIntire Park to Monticello Avenue, containing the entire Downtown Mall. 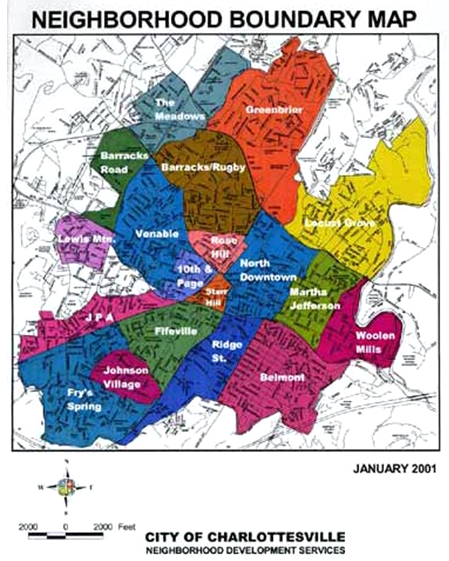 The North Downtown area is what many people imagine when they think of Charlottesville. The Downtown Mall offers over 70 food and drink options and over 100 shops and attractions. North Downtown attracts a wide variety of owners and renters. There are diverse housing options, including everything from condos right on the Downtown Mall to large residences on the northern end of the neighborhood. North Downtown’s property prices have increased greatly since 2013, seeing a compound annual growth rate of 3.81%. The neighborhood’s high median sales price is matched with a high median rent, giving North Downtown an average long-term Price-to-Rent Ratio of 14.8. North Downtown is the center of Charlottesville. It provides the perfect location for vacationers visiting Charlottesville. Though some travelers may want to shy away from staying in a property directly on the Downtown Mall due to noise levels, renting a block or two away provides all the benefits of the Mall without the negatives. Rentals are often fairly pricey in this area, rarely seeing prices below $150 for small rentals. If you are looking for help in listing and marketing your home, contact us at Guesthouses!